A seminar in Cardiff last week explored the possible outcomes of a more holistic approach to planning and operating railways in Wales and elsewhere. Number One Callaghan Square in Cardiff was the venue on November 30 for the first of a series of ‘After McNulty’ industry seminars – Joined up decision making in the Welsh rail network to cut costs and drive efficiencies – organised by consultants First Class Partnerships and supported by Passenger Transport. Despite this being the dreaded “day of action” involving public sector workers and no representative of the Welsh Government putting in an appearance, it was a very well attended event, chaired by Professor Stuart Cole (Welsh Transport Research Centre, University of Glamorgan). The purpose of the day was for rail industry players and stakeholders to consider and discuss the issues surrounding the implementation of a more devolved and integrated approach to planning, funding and operating railways. 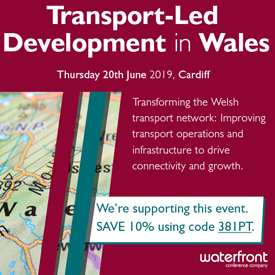 Wales was selected because of the political devolution it has already achieved and because further devolution of powers within the rail industry itself, as recommended by Sir Roy McNulty, might be expected to take off here quite quickly. Lessons might then be learned for the English regions where it is widely expected the UK government will seek to devolve substantially more decision making to “sub national” bodies. Following scene setting by Professor Cole and FCP chairman John Nelson, who served on Sir Roy McNulty’s Advisory Board, the seminar was addressed by senior managers of Arriva Trains Wales and of Great Western and by Mark Langman, the recently appointed route managing director for Network Rail in Wales, this being the first time in history that responsibility for all of the infrastructure throughout Wales has been vested in a single Welsh organisation. Langman made clear that the new devolved approach being introduced by Network Rail meant that bespoke solutions would in future be locally applied. Derogations of standards for rural routes, for example, were a likely outcome. It is already clear that new, partnership arrangements are being reviewed jointly by Network Rail and the train companies with the needs of the passenger markets they serve being the primary target. Few of those listening to the debate would have doubted that the end result would be the delivery of improved outcomes at lower unit cost. With passenger ridership in Wales already having grown by almost 50% since the beginning of the ATW franchise and subsidy falling over the residual term, more integrated working between the company and Network Rail will be essential, particularly if as seems likely demand for rail services continues to rise. John Nelson had already reminded the seminar of the McNulty study finding that unit costs (as measured by net costs per passenger kilometre) had remained unchanged as compared with the start of privatisation and that, with governments wishing to see use of the system expand, it was vitally important that more cost-effective delivery mechanisms were found. Greater alignment of decision-making was the key to making this happen. During an open discussion session involving speakers and delegates there was a great deal of focus on the need to provide devolved Network Rail regions with the true costs of maintaining and renewing assets. Until a proper and accurate system of allocating costs to routes and route sections was implemented it would remain difficult for train operators and Network Rail in Wales to take effective decisions. With budgets strapped for cash it was doubly difficult for the railway companies to engage with the government of Wales and for it to determine priorities for spending across the range of activities for which it was responsible. There was some scepticism expressed about the ability of the rail industry to lead and direct the changes that everyone agreed were needed. However, this was not universally shared, some believing that it was not an option to fail, the intervention of the government to direct matters being a worse scenario. There was universal agreement however that the power to deliver better value for money in what was still a growth industry could only be achieved with the power to deliver being placed in the hands of locally accountable, market focused managers. It was suggested that the alignment of government, Network Rail and ScotRail was significantly better than practically anywhere else in the UK and that Wales would benefit from a much more joined up approach, not least the role of the devolved government in determining priorities within a broader economic, environmental and social context. Scotland had a much clearer vision of its transport priorities than Wales and there was a general consensus that the Welsh should and probably would move in the same direction. This led to a discussion on rolling stock replacement in which it was noted that at present rolling stock leases were very much tied to the franchise term. Perhaps a future Welsh Government would take the view that it could effectively sponsor the procurement of new stock by working closely with leasing companies and franchise operators alike, as had happened in Scotland. A joined up strategy for rolling stock investment with infrastructure projects was also required, another example of why aligned decision making structures were desirable. Although there was a general view expressed that McNulty had not really tackled some of the issues surrounding rolling stock it was almost universally a shared view that longer franchises would create a better environment for rolling stock investment decisions to be made. Where the “social” railway was to be the recipient of new stock the involvement of the devolved government was not only desirable but inevitable. A further example of the strength of political and industry alignment was provided by reference to the implementation of driver only operation in parts of Scotland. The electrification of the valley lines into Cardiff would not only provide new and more cost effective rolling stock but would also present an opportunity to develop driver only solutions enhancing the case for such investment and provide scope from the savings to re-invest in other parts of the rail network in Wales, a classic illustration of how more could be achieved with the same, if not less. The seminar also debated issues around the prospects for freight in Wales but sadly, due to an incident in the Severn Tunnel which delayed the arrival of one of the speakers, was not able to receive what would have been a challenging presentation about the extent to which rural routes in Wales could benefit from the application of some of the marketing and operating practices of the highly successful heritage sector. A future seminar will now pick up this theme which may be characterised as “devolution within devolution”. A seminar to be held in London on February 28 (see below) will look in more detail at the opportunities for devolution in England against the backdrop of what is expected to be a major new thrust in government policy to move the planning and procurement of railway services in that direction. The next seminar in the ‘After McNulty’ series – Rail Industry Reform – will take place in London on February 28. Key speakers include Robin Gisby, managing director, network operations, at Network Rail. Passenger Transport readers receive a 10% discount.